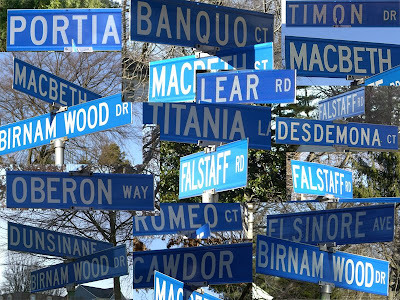 Street signs from an Arlington neighbor, the McLean Hamlet. Of course, our own Ode Street was named after the famous poem to a Grecian urn. And our Ode Street intersects with Fort Myer Dr. which was originally the driveway for Fort Myer. Westmoreland Terrace Condos also has a highly distinguished name.